You'll be £4.99 closer to your next £10.00 credit when you purchase The Soviet-Afghan War. What's this? 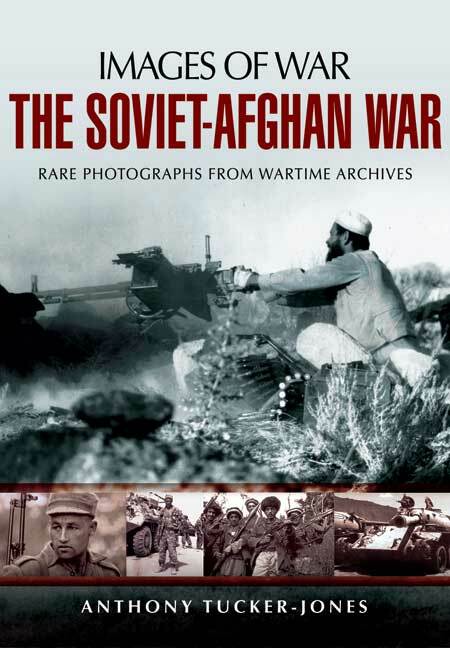 This photographic history of the Soviet-Afghan War of 1979 to 1989 gives a fascinating insight into a grim conflict that prefigured the American-led campaign in that country. In an unequal struggle the mujahideen resisted for ten years, then triumphed over Moscow. For the Soviet Union the futile intervention has been compared to the similar humiliation suffered by the United States in Vietnam. For the Afghans the victory was just one episode in the long history of their efforts to free their territory from the interference of foreign powers. By focusing on the Soviet use of heavy weaponry, Anthony Tucker-Jones shows the imbalance at the heart of a conflict in which the mechanized, industrial might of a super power was set against lightly armed partisans who became experts in infiltration tactics and ambushes. His work is a visual record of the tactics and the equipment the Soviets used to counter the resistance and protect vulnerable convoys. It also shows what this gruelling conflict was like for the Soviet soldiers, the guerrilla fighters and the Afghan population, and it puts the present war in Afghanistan in a thought-provoking historical perspective. This is a superb collection of photos illustrating one of the key battles of the Cold War and a conflict whose consequences are still with us. The author has selected some exceptional photographs to illustrate this process and to support his text. This is a provoking account of a key stage of the Cold War and the rise of militant Islam. It deserves to be widely read because the story in this troubled region continues, the Soviet invasion is part of its heritage and a failure to achieve a political settlement promises continuing conflict and the threat of nuclear war.